Liz and James held their Sarasota wedding at the Cadzan Mansion. It sits within the John and Mable Ringling Museum of Art in Sarasota Florida. 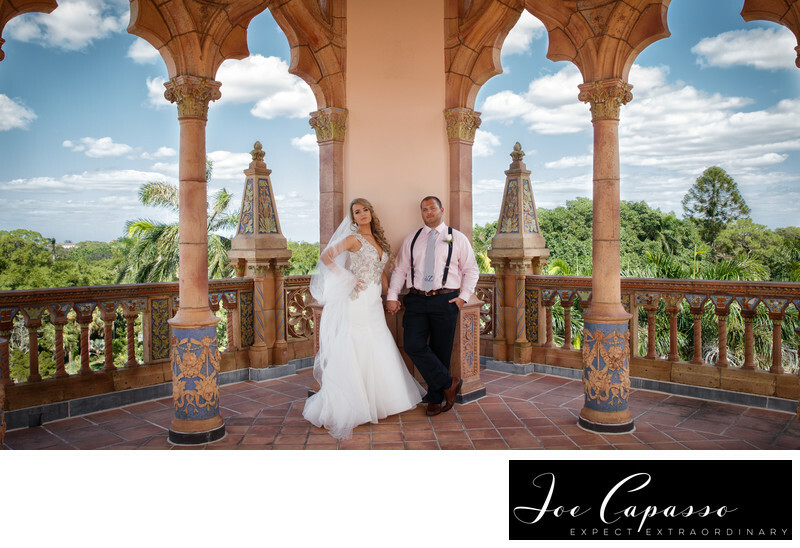 The Ringling Museum provides a perfect wedding venue for an out of the country feel. The Cadzan was the winter home of the American circus owner, developer and art collector John Ringling and his wife Mable. The home is built in Venetian style. You may remember scenes from the 1998 movie Great Expectations were filmed at the Ringling Museum in Sarasota, FL. The museum is one of the most popular wedding venues on the west coast of Florida.